00.45, Inscriptions, 2000. 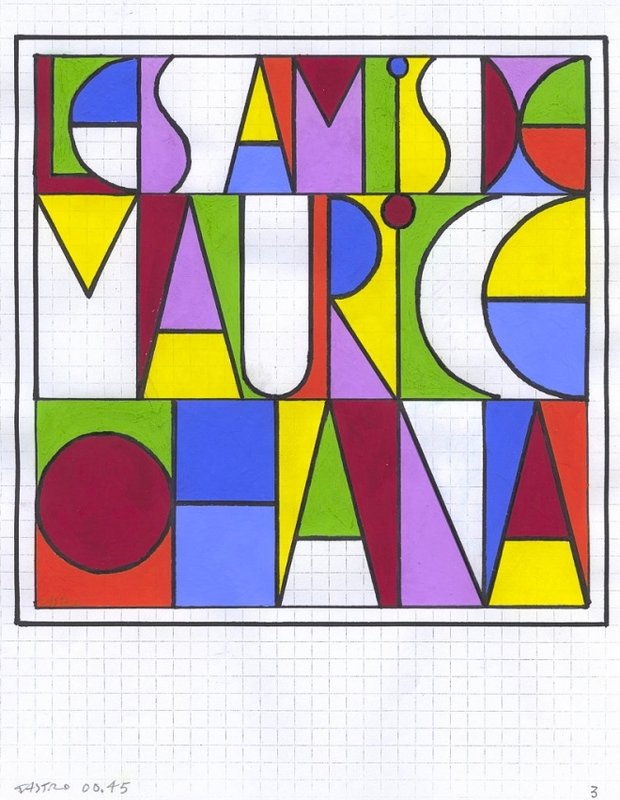 Four sketches for a logo (Internet): “Les Amis de Maurice Ohana”. Ink and gouache on paper, 27 x 20 cm format.